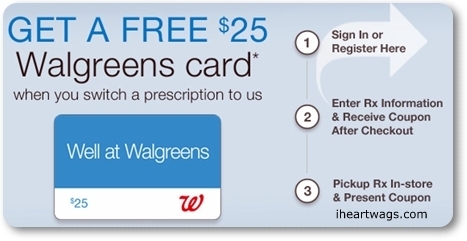 offer is not valid for any holder who is currently or has been a beneficiary of a federal healthcare program, such as Medicare Part D, Medicare Advantage, Medicare Part B, Medicaid, TRICARE or the Federal Employees Health Benefits Program any time in the 6 months prior to coupon redemption. Prescriptions cannot be transferred from another Walgreens or Duane Reade. Some card restrictions apply. Limit one card per transaction.